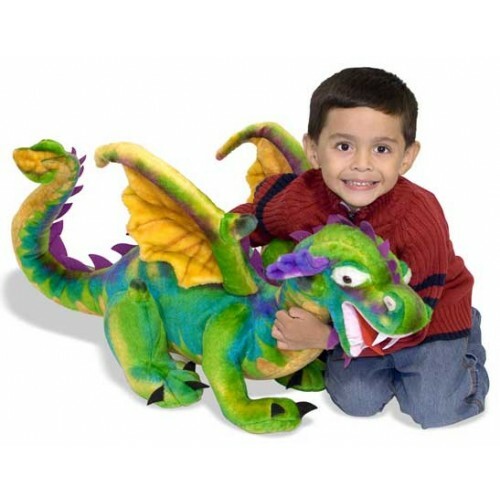 Dragon Plush Stuffed Animal, With quality construction and great attention to imaginative details, vibrant colors and whimsical styling make this an awesome dragon! Wild Animals by Melissa & Doug. Go wild! From the Amazon to the Savannah here come lions and tigers and monkeys! With life-like expressions, these animals add excitement to any room. Passionate about plush stuffed animals? 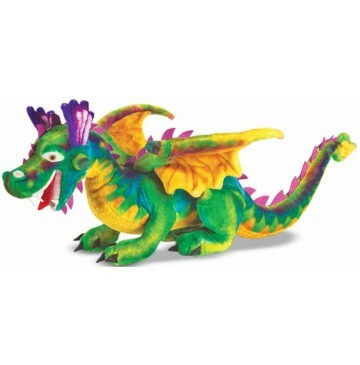 Melissa & Doug has over twenty of the most popular dog breeds, as well as giant teddy bears and a giraffe that's four feet tall! Our stuffed animals represent the animal kingdom from different regions of the world and span the alphabet, from Alligator to Zebra!